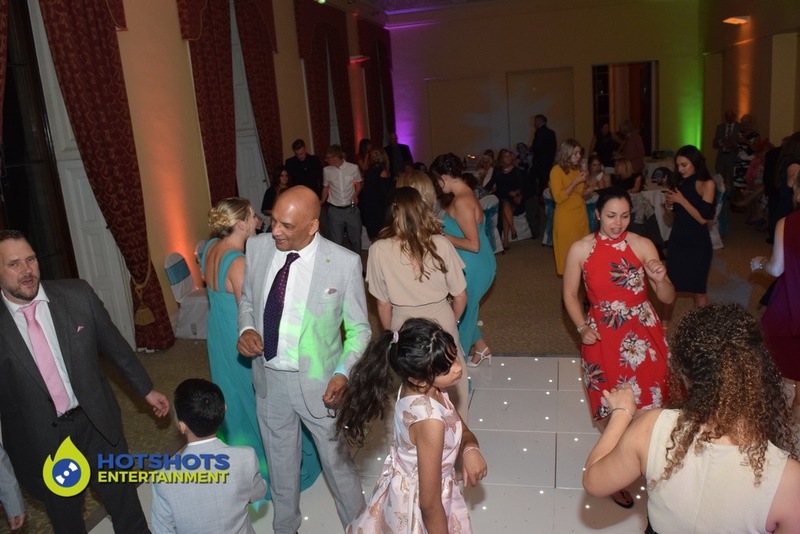 Wedding DJ and LED dance floor was booked for Mr & Mrs Williams wedding reception at the lovely Leigh Court on the 6th April 2019. The evening started off by cutting the cake in the hallway, the guests then made their way into the main room. 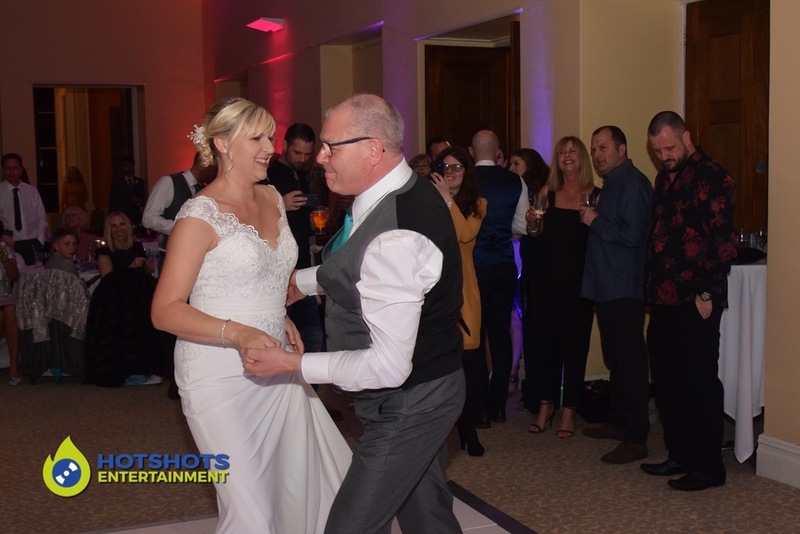 Once everyone was in it was time to announce the Bride and Groom into the room for their first dance. They danced to I Can’t Help My Self by The Four Tops, I then invited the guests up to join them. From then on the dance floor was hardly ever empty for the rest of the evening. 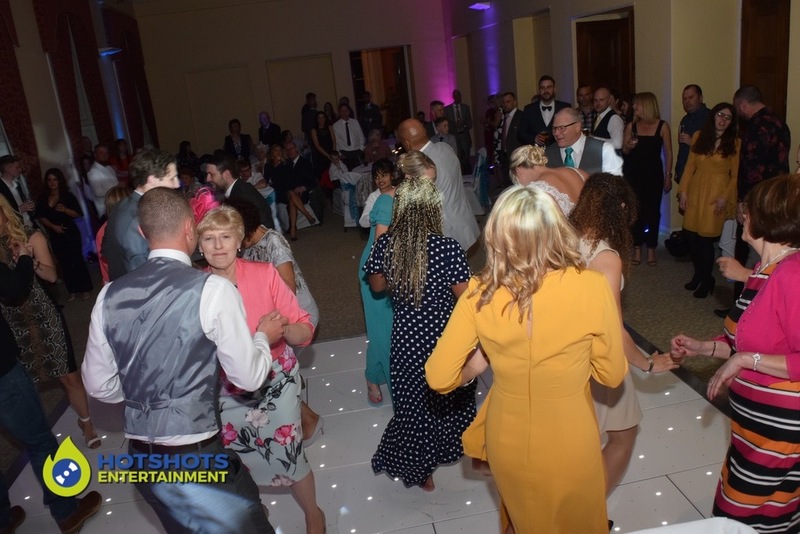 With everyone having a really good time on the LED dance floor as it was twinkling away. It was time for the father and daughter dance, the song choice was Glen Miller Medley by Jive Bunny. This was very entertaining and fun to watch. Below is a picture of them in action, they sure both know how to move and did not stop smiling all the way through. Bailey’s chocolate fountain was booked along with Mango Photography with Chris on board taking some great shots. 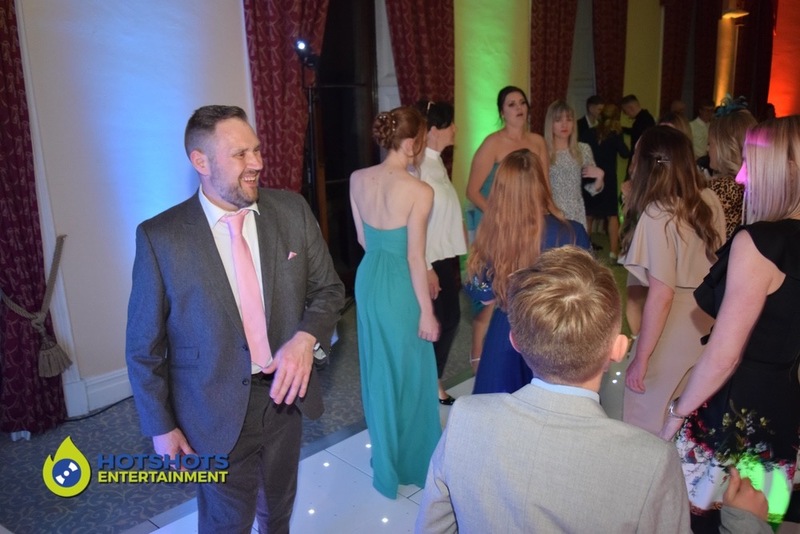 With so much dancing going on and everyone having a really good time, it truly was a fantastic evening. 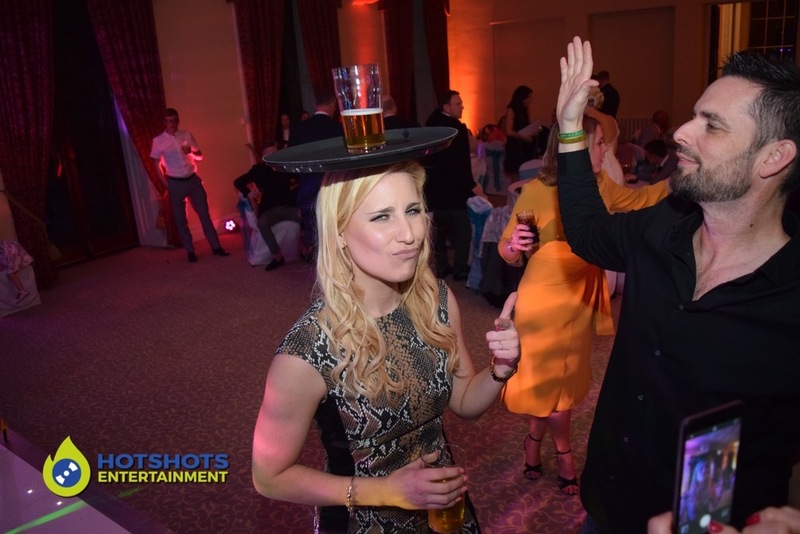 The funny part of the evening for me was to see the lady balance a pint of beer place on a tray on top of her head, hats off to you. I also took some pictures, you can see a few below and the rest you can find on my Facebook page HERE please tag and share away. If you require any photos taken off please just message through the page. 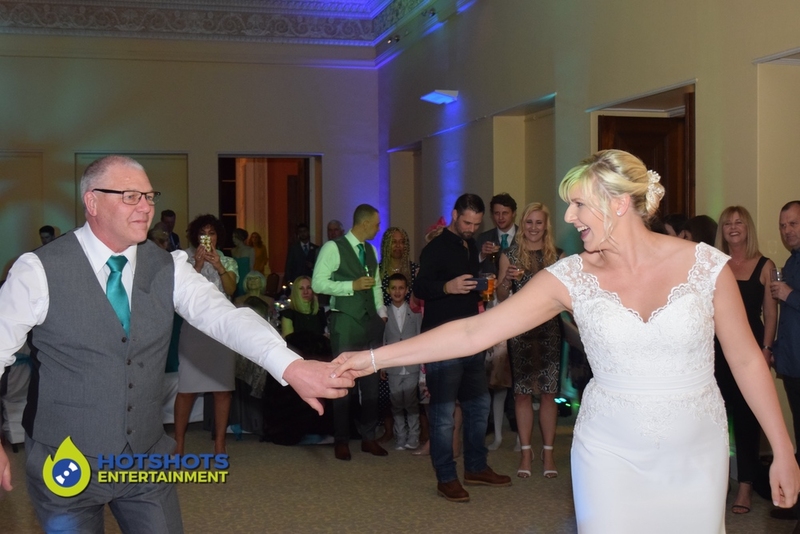 Thank you so much for booking with Hotshots Entertainment. We wish you many years of happiness together.